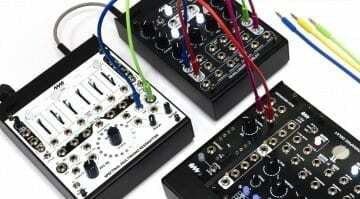 Syinsi has championed the idea of Eurorack modular in the 1U format for some time. 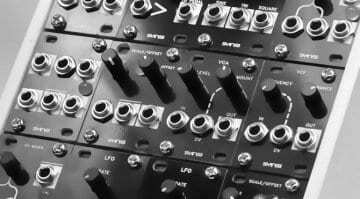 1U modules is a “thing” in Eurorack but they are often utility modules that supplement the regular Eurorack 3U format. Syinsi does a whole range of compact and inexpensive 1U tiles that can be oscillators or filters or any other modular component. 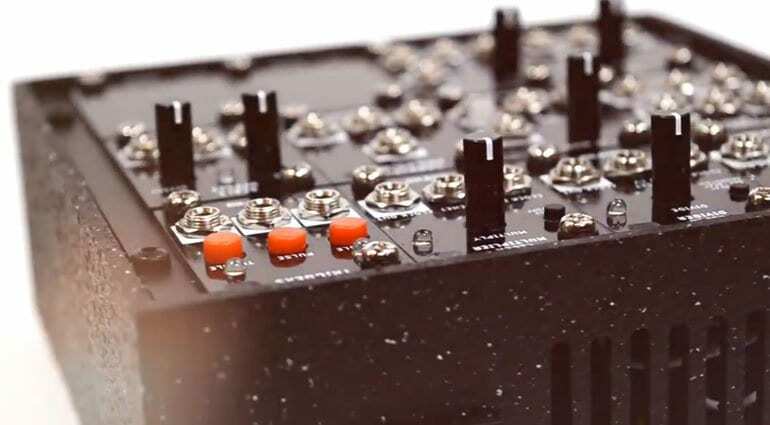 The EuroTile case is designed to house 1U modules in order to build a cool little self-contained modular synth. The little case can fit up to 12 1U modules or “Tiles”. 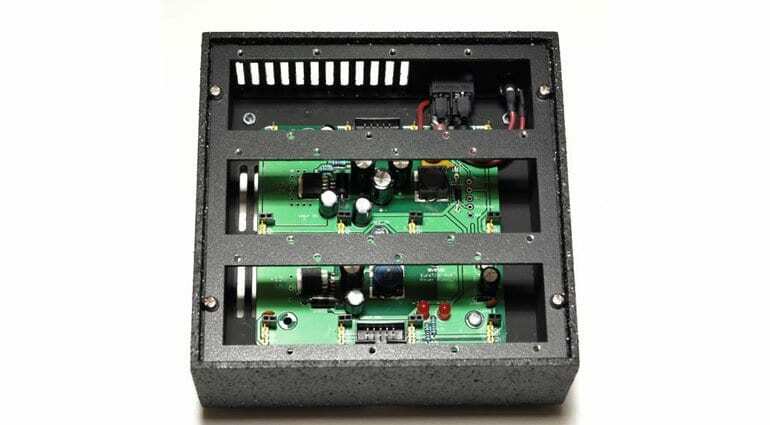 It contains a decent bipolar power supply with power headers directly underneath each board. 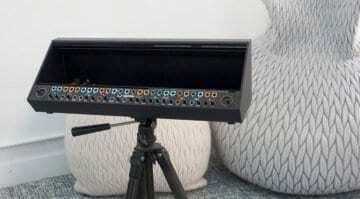 There are also two regular Eurorack 10-pin power headers. The power comes from a laptop power supply which means it can also be powered from a laptop power bank for some very useful portability. The case itself it lasercut from machined masonite, sealed with acrylic and finished with a textured enamel surface. An aluminium bracket provides the mounting for the tiles. There are plenty of holes for ventilation and there are 4 rubber feet to keep it on your desk. At 14cm wide and 7cm tall it’s a super portable little box. 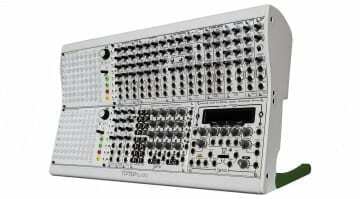 Firstly, just the case for $99 and you can fill it with your own 1U modules. 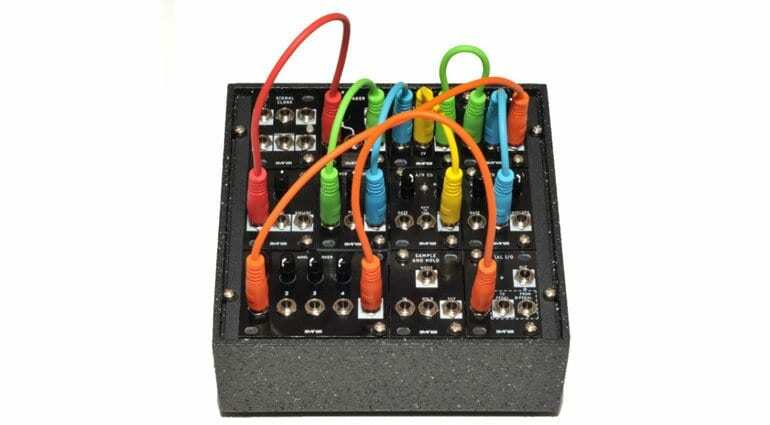 For just under 500 dollars you’re getting a genuinely modular analog synthesizer or box is useful utilities that’ll look great on your desktop and integrate perfectly with your existing setup. Or maybe it’s a good place to start your modular journey. Something self-contained but more versatile than your regular semi-modular.